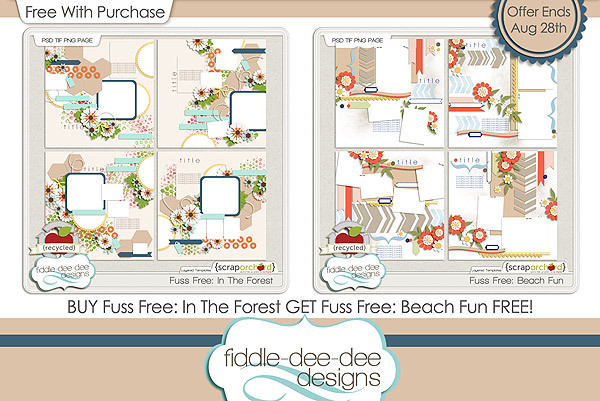 Fiddle-Dee-Dee Designs: Fuss Free: In The Forest, Fuss Free: Beach Fun, Fuss Free: Sweet Dreams and FWP Offer! Fuss Free: In The Forest, Fuss Free: Beach Fun, Fuss Free: Sweet Dreams and FWP Offer! This week I am releasing Fuss Free: In The Forest and Fuss Free: Beach Fun. 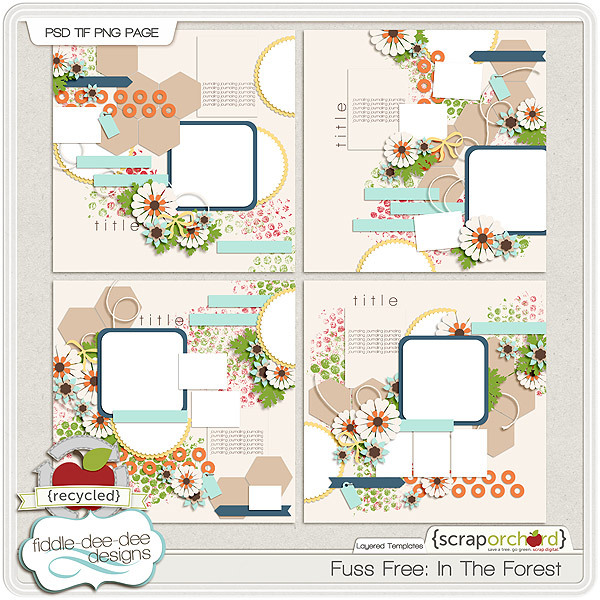 Both of these template packs were available in two separate Iron Scrapper collabs. Also new this week, I teamed up with Amber Shaw and designed a set of templates to coordinate with her new kit, Sweet Dreams. Fuss Free: Sweet Dreams templates are ideal to create the most adorable pages for all those sleepy time memories. From bedtime stories, prayers, favorite blankets and snuggly items, you'll be sure to document all those sweet dreams perfectly! 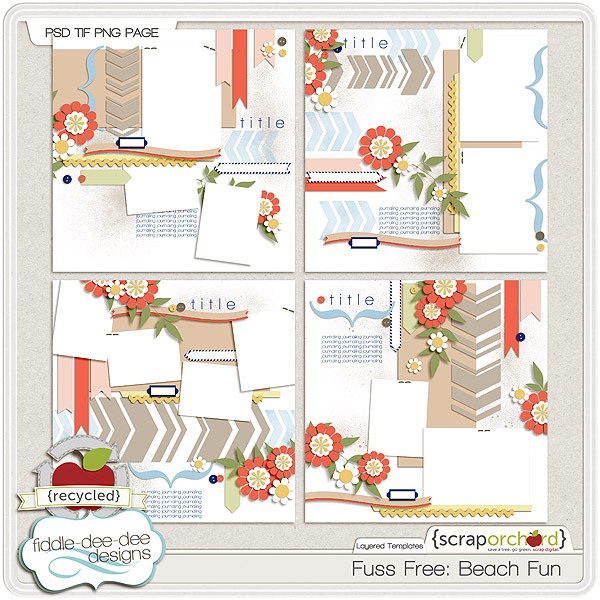 This set of templates is Fresh Fruit priced at 20% off.